Hey guys, I am Tech Rave a friend of TechAP and SpacePI and I will mostly post about both tech and space . 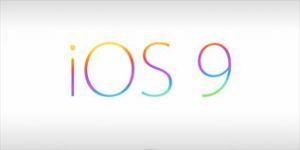 Finally apple released the much updated IOS 9.0. Unfortunately like IOS 8.0, IOS 9.0 also has some glitches. There is a bug in the new IOS which is causing older iPhones ( 4S and below), iPad 2 etc not to be able to upgrade to IOS 9.0. Post upgrading the phone freezes with a message “Slide to upgrade”. Please ensure that you back up the device before upgrading to the new IOS. Apple has acknowledged the issue and will come up with a fix soon. Every body wants a fast internet connection so your phone will ignore Wi-Fi connections that are slowing you down and will fall back to cellular. It’s on by default, too! The phone now has a low power mode which is intelligent. It gives you more battery life by doing things like halting background refreshing of apps, and cutting off animations. But the phone still performs all its key functions. That is key. It also shows where your battery is getting eaten up.If you head into Photos, you’ll find two new sections: selfies and screenshots. That selfies folder will probably be a lot of fun to browse through, but it’s the screenshots section that’s going to be most important for the tech obsessives. No longer will you have to hunt through your entire photo stream to find and delete accidental or old screenshots. Just pop in, swipe across all of them — another new photos feature — and delete. No more mess.When you plug in your earphones, it will automatically show music apps which is there on the phone and not only iTunes. iOS 9 has more goods than bad. Please comment and like. Your likes are always welcome. In case of any issues with Apple products do write back to me for a successful resolution .